Mumbai- the city of dreams, the dynamic financial capital of India and the hub of glitz, glamour and all things exciting, never ceases to attract. Undoubtedly one of the hottest destinations globally, Mumbai offers you so many places to visit that you may drop but won’t be done touring so easily! Myriad tourist attractions are spread across the length and breadth of Mumbai, and even at a distance from the mainland. 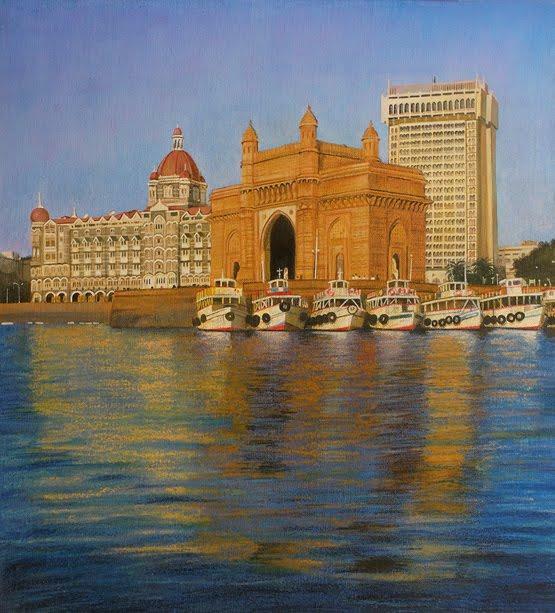 The iconic Gateway of India is unarguably the most renowned monument of Mumbai. It’s a majestic structure of historical significance that was constructed to memorialize the visit of King George V and Queen Mary to Mumbai in the early 20th century. It is located diametrically opposite the famed Hotel Taj and overlooks the vastness of the Arabian Sea and home to several glitzy, cultural and historical places and events in Mumbai. At a stone’s throw away is the Queen’s Necklace, the famous boulevard in Marine Drive that lines the Arabian Sea and glitters like a necklace at night. It’s the perfect place to wind down and attune yourself with peace in the frenzy all around. Chhatrapati Shivaji Terminus is no less than any monument, being a historic railway station figuring on the UNESCO World Heritage site. Chowpatty is another major beach attraction, which is close to the famous Mahalaxmi temple where devotees for far and wide come. Don’t forget to relish the famous street food of Mumbai like bhel puri when you go there! Haji Ali, the famous mosque built centuries back is also visited by devotees irrespective of religion, caste and creed. Located in the heart of the sea, walking down the passage to reach the shrine is also a journey in itself. Nehru Science Centre and the Nehru Planetarium are stupendous places that Science enthusiasts will love to visit. Close by, Siddhivinayak temple is the revered, popular Ganesha temple which is situated in Dadar where people, including celebrities make it a point to go. Bandra, the queen of the suburbs, is also a place that’ll captivate your senses. Famous spots like the Bandstand and Land’s End sitting pretty by the shores are very popular, especially amongst youngsters as well as celebrities, quite a few of which reside there. Scores of restaurants, hotels, nightspots, The newly constructed Bandra Worli Sea Link, a gigantic bridge connecting two of the busiest places of Mumbai, is a new engineering marvel everyone wants to be on at least once. A visit to Juhu Beach is mandatory for everyone who comes to Mumbai. It’s one of the biggest crowd pullers where you can really let your hair down, gorge on loads of delicacies in the food stalls lining the shore. The famous J W Marriott and Centaur Hotel are close by and so are bungalows of several stars, including Prateeksha and Jalsa, the residences of the legendary Amitabh Bachchan. Further up north is the beautiful Powai Lake and the elegant residential Hiranandani Gardens, famous amusement parks Essel World and water Kingdom as well as Sanjay Gandhi National Park, the only urban national park in the world. The ancient Kanheri Caves are also nestled inside and so are several animals, birds, safaris and more. Even these words, in a nutsheel, don’t suffice to sum up the magic called Mumbai!